Saddleback College is accredited by the Accrediting Commission for Community and Junior Colleges of the Western Association of Schools and Colleges, 10 Commercial Boulevard, Suite 204, Novato, CA 94949, (415) 506-0234, an institutional accrediting body recognized by the Commission on Recognition of Postsecondary Accreditation and the U.S. Department of Education. Saddleback College prohibits discrimination on the basis of race, color, religion, national origin, age, disability, sexual orientation, marital status, or pregnancy in the administration of its educational policies, personnel practices, and college programs. The college, by law, cannot engage in any such discriminatory activity. Grievance procedures exist for students, employees, and job applicants. Information regarding formal complaints is on file in the offices of the Chancellor and the Vice Chancellor and in the offices of the College President and Vice President for Instruction. The Office of Student Services maintains grievance procedure information for students. Any questions concerning discrimination may be directed to the Saddleback College Vice President for Student Services, 949-582-4566, Saddleback College, 28000 Marguerite Parkway, Mission Viejo, CA 92692. The Title IX Coordinator, Dr. Juan Avalos, can be reached at 949-582-4566. Data on Saddleback College’s programs leading to gainful employment, required to comply with the Higher Education Act of 1965 as amended, can be found on the Saddleback College website at www.saddleback.edu. For Catalog updates and addenda, please refer to catalog.saddleback.edu. 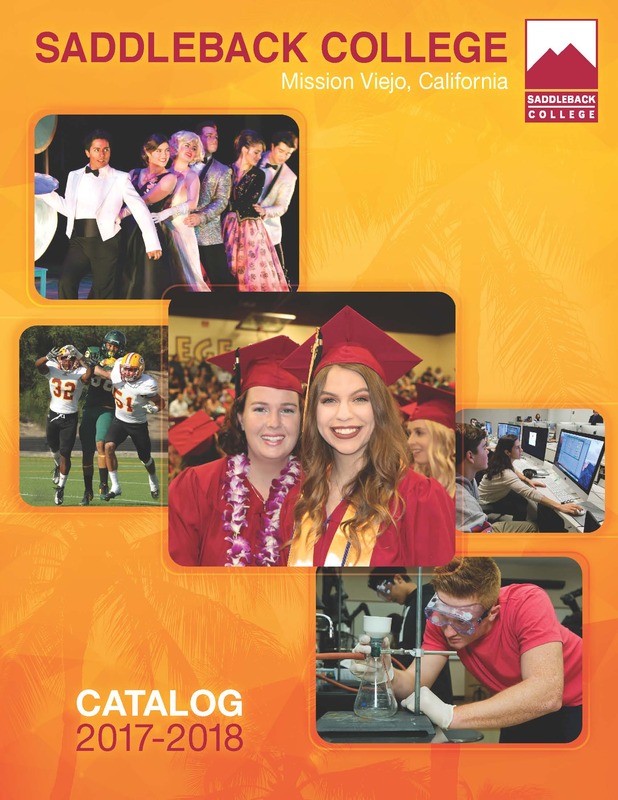 Saddleback College has made every reasonable effort to ensure that the information published in this catalog accurately reflects current legislation, information, policies, and fees. However, these are subject to modification at any time, without notice, in order to accommodate changes in the resources or educational plans of the district, or for reasons deemed appropriate by the college president or designee. Please refer to the online catalog supplement at catalog.saddleback.edu for policies and/or degrees that have been approved after publication of the hardcopy Saddleback Course Catalog. Nota: La información para las personas que hablan Español se encuentra en la Información en Español de este catalogo.